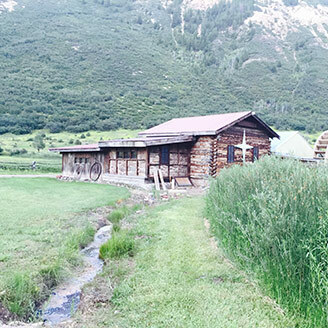 Since 1996, Roaring Fork Conservancy has inspired people to explore, value, and protect the Roaring Fork Watershed. We bring people together to protect our rivers and work hard to keep water in local streams, monitor water quality, and preserve riparian habitat. As one of the largest watershed organizations in Colorado, Roaring Fork Conservancy serves residents and visitors throughout the Roaring Fork Valley through school and community-based Watershed Education programs and Watershed Science and Policy Projects including regional watershed planning, water resource policy initiatives, stream management, and restoration. Volunteers are needed to help clean up one of the most beautiful stretches of river in the country! Six months after the Lake Christine Wildfire, key organizations are convening discuss ongoing collaborative efforts to address post-fire impacts. The Roaring Fork River runs 70 miles from Independence Pass through Aspen, Basalt, and Carbondale until it reaches its confluence with the Colorado River in Glenwood Springs. During its journey the waters drop over 6,000 feet in elevation, more than the Mississippi River drops in its entire length! The Ute Indians called it "Thunder River" no doubt from the roaring sound it makes during spring runoff. Many species of wildlife rely on the river corridor for their survival, making it a great place to view elk, Bald Eagles, osprey, great blue herons, moose, mule deer, and more. 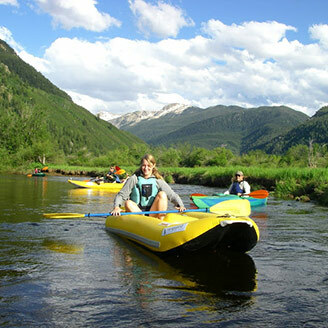 The Roaring Fork River offers abundant recreational opportunities including white water rafting, stand up paddle boarding, kayaking and fishing. Gold Medal trout waters can be found within the section between Basalt and Glenwood Springs. The origin of the "Fryingpan" name is uncertain but the most colorful story is that of a group of prospectors who fled some hostile Utes only to run into another encampment, whereupon one prospector remarked that they had come "out of the frying pan and into the fire." The valley was home to Native American hunting parties, miners, railroaders, ranchers and recreationists since it was first explored in 1880. 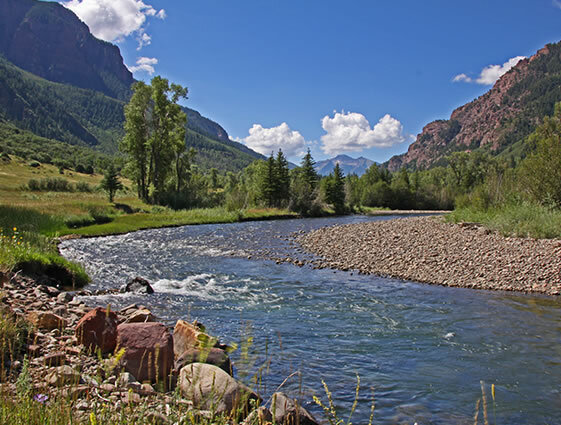 The Fryingpan River is a renowned Gold Medal trout fishery whose designation stretches 14 miles from Ruedi Dam to its confluence with the Roaring Fork River in the town of Basalt. 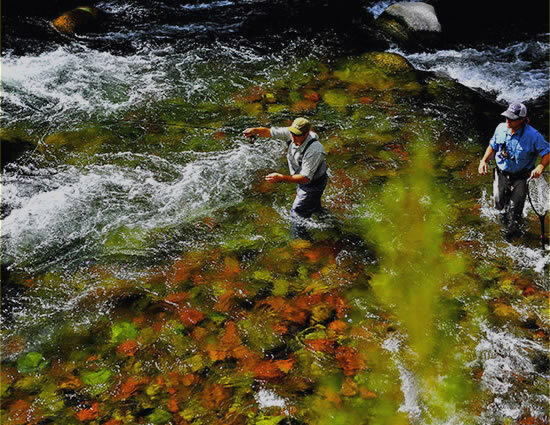 This river boasts healthy rainbow, brown and cutthroat trout populations, providing year-round fishing opportunities. 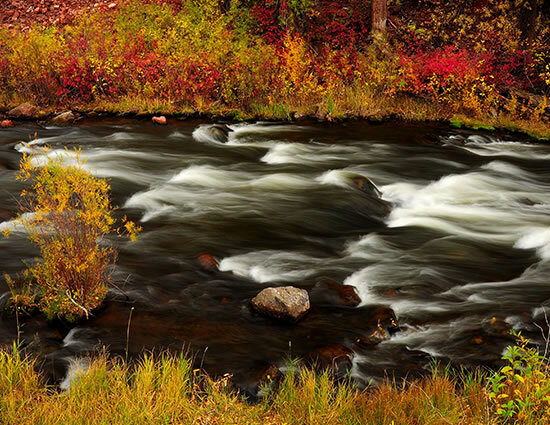 The Crystal River begins in the Elk Mountains of Gunnison County in Colorado. It flows for 40 miles before it reaches the confluence with the Roaring Fork River in Carbondale. This scenic valley is home to Bald Eagles, Big Horn Sheep, abundant elk populations, Lewis’s Woodpeckers, geothermal hot springs, rare orchids such as the stream orchid, and one of the few places in the state to view fireflies. Historically, there was abundant mining in this area, such as coal, lead-zinc, iron and silver. The Crystal River Mill provides an iconic view of the area’s silver mining industry. Marble continues to be quarried and has provided the foundations for some of the most well-known monuments in the United States: Tomb of the Unknown Soldier and the Washington Monument. Today, the Crystal River is a favored kayaking and fishing river. Not only does it provide drinking water to 7,000 people but the valley continues to remain rich in ranching and agriculture. The Roaring Fork Watershed is located in central Colorado on the west side of the Continental Divide. The watershed includes the Sawatch, Collegiate and Elk Ranges and seven 14,000 foot peaks. Melting snow in these headwaters collects and joins one of three main rivers (Roaring Fork, Fryingpan, and Crystal) and drains to the Colorado River in Glenwood Springs at an elevation of 5,916 feet. 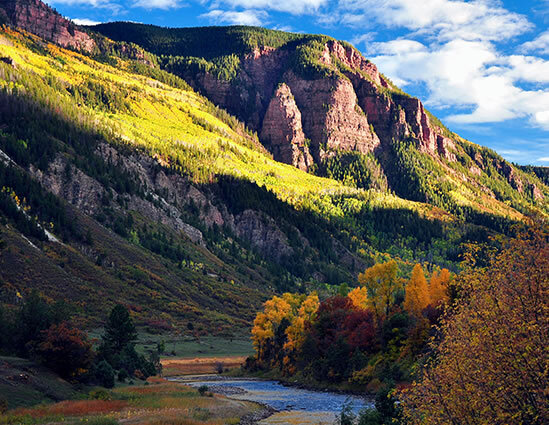 Encompassing an area of 1,451 square miles, the Roaring Fork Watershed is approximately the size of Rhode Island. Part of the larger Colorado River Basin, which supplies water to nearly 40 million people in the arid southwest, the Roaring Fork Watershed contributes about 856,000 acre feet or 279 billion gallons of water each year to the Colorado River! From the slow meandering waters of the North Star Preserve to the raging Slaughterhouse Falls, people love to experience the rivers of our watershed. 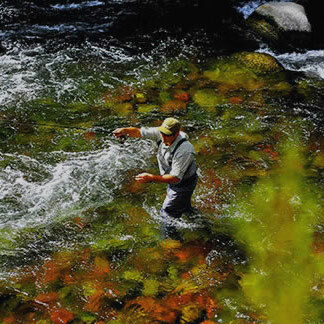 Anglers come from all over the world to fish the rivers and high mountain lakes of the Roaring Fork watershed. With over 33% of the Roaring Fork watershed in designated wilderness areas, there is no shortage of trails on which to go exploring.